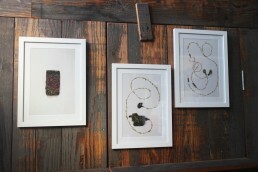 iMoss is an early experimental series created during my first residency at Arteles Creative Center in 2012. 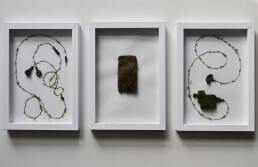 This work is significant as it was one of the first times I used moss as a medium in my artwork. I carefully harvested large sheets of sphagnum moss, then dried them in the sun until they were stiff and easier to manipulate like an animal pelt. I then traced my iPhone and it’s accessories to get an accurate silhouette of the shapes to make the work easily recognizable. 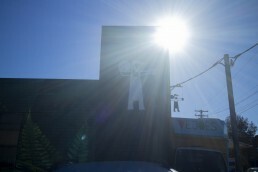 This work was presented at Batch Brewery, Marrickville, between October 2017 to April 2018.